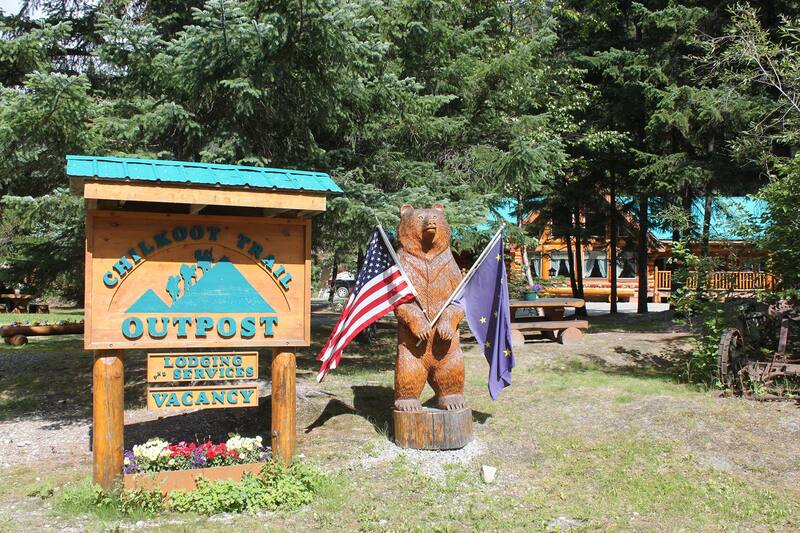 The Chilkoot Trail Outpost is an Alaskan bed and breakfast in the heart of the pristine Dyea Valley. 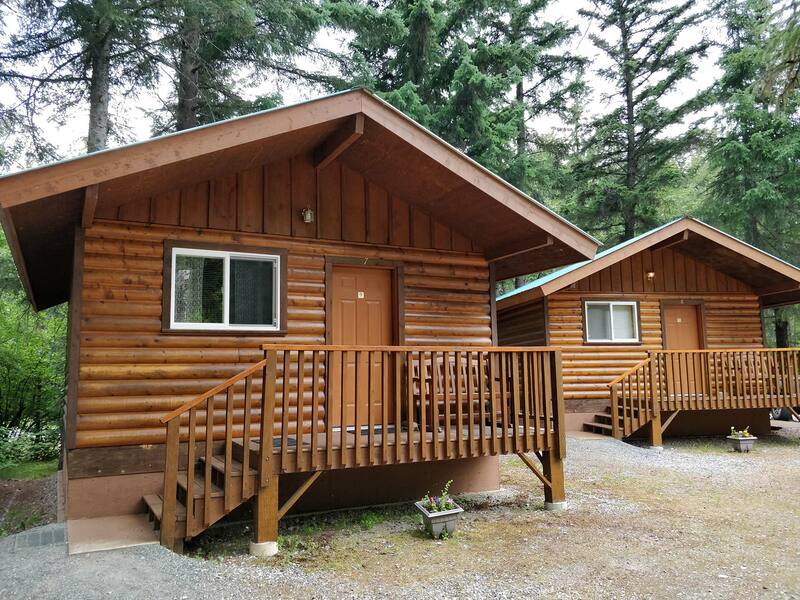 Located just 7 miles from Skagway and .5 mile from the head of the famous Chilkoot Trail, our guests enjoy the most beautiful panoramic views of Face Mountain, Long Bay and the ocean water of the Lynn Fjord which is one of the deepest and longest fjords in North America. It’s the most northeastern point of the Pacific Ocean. 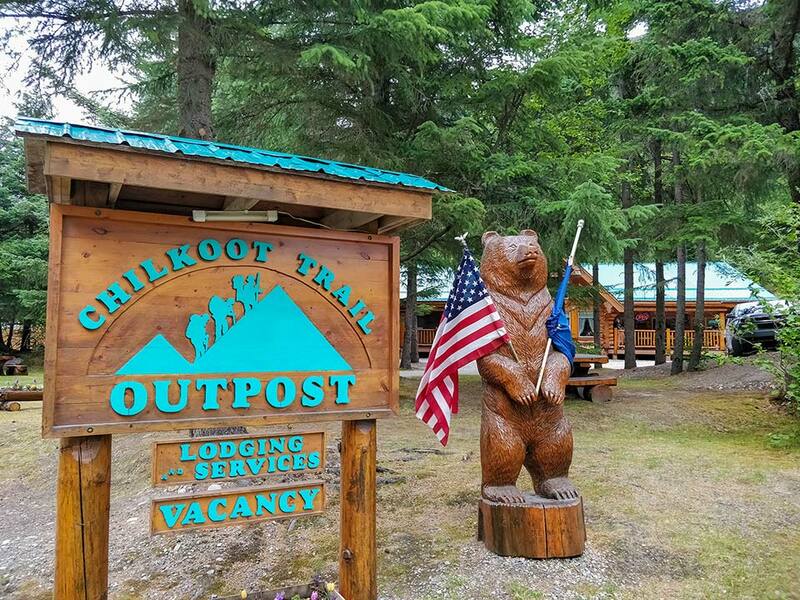 Located only minutes away from the start of the world famous Chilkoot Trail! Check out our ‘Hiker’s Suite Deal’! Let us take care of your all your logistics so you don’t have to worry about anything other than the hiking part. 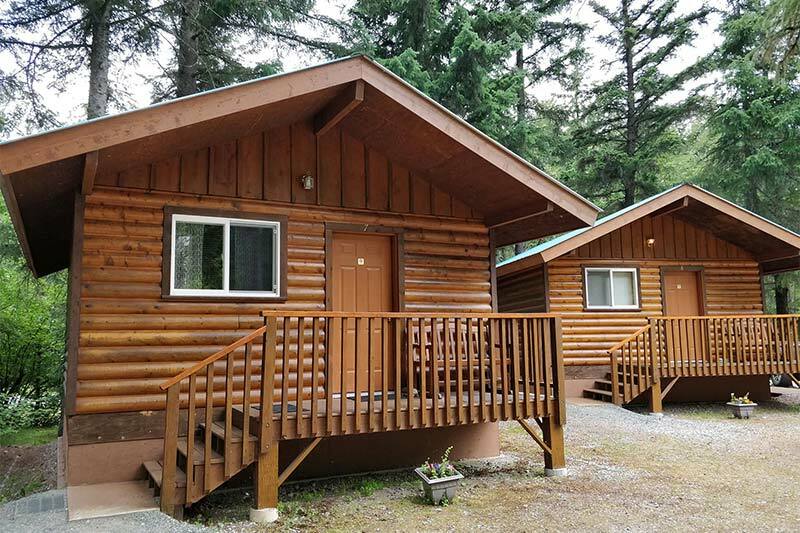 Our cabins, rated in the top 15 in Alaska Accommodations, afford our guests with a unique touch of luxury in a setting beyond description. The beauty of the area not only offers hiking trails, picnic grounds, wildlife, natural springs and a waterfall, but include the echo’s of the gold rush. We are an agent for the famous White Pass Railroad and would be happy to make your reservations. Other amenities offered with the Outpost’s accommodations are a hearty breakfast, bicycles, a BBQ gazebo and campfire with all the makings of our unique s’mores, to name a few. 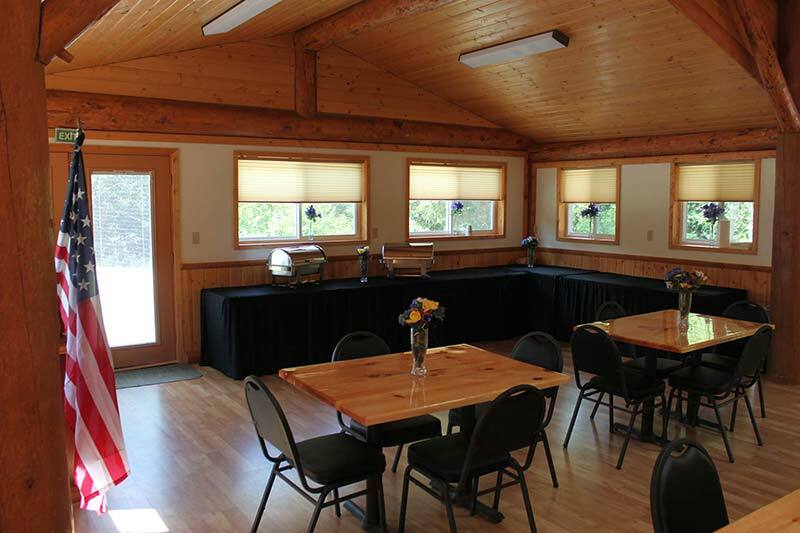 The Outpost can comfortably accommodate up to 36 guests. An exceptional reward for corporate or business retreats, weddings, family reunions or private get togethers, complete with banquet/conference facility. We do not limit our amenities, included are free wireless high speed internet, fax, as well as the normal business services. We will exceed and fulfill your corporate expectations. Please check our potential for your future retreats. 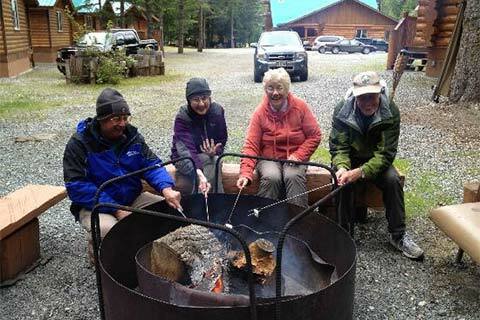 Whether hiking the famous Chilkoot Trail or just enjoying the serenity of the wildlife and history, guests will be sure to leave with unforgettable memories of their personal experience with life long local hosts, Fred and Kathy Hosford, as well as encounters with the indigenous bears, sea lions, bald eagles and a host of other wildlife. Check out our 2,000 SQ. FT Retreat Center, A perfect compliment to the Outpost property. Complete with catering facility, board and breakout rooms, or just a nicely appointed space for corporate, family and reunion gatherings. 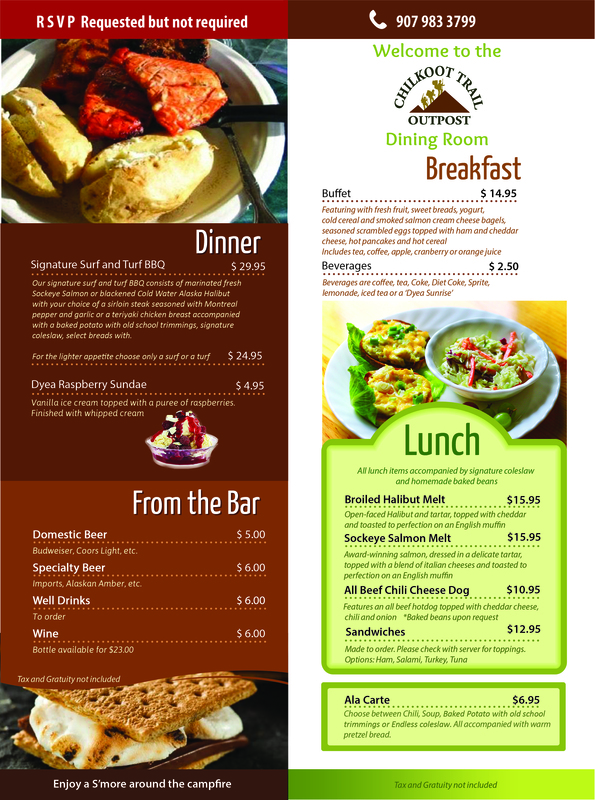 Fully licensed with a lunch and dinner menu. The Chilkoot Trail Dining room is open 7:30am till closing.